Cost Of Afghan War Hangs Over Obama's Troop Decision : The Two-Way The president addresses the nation this evening. 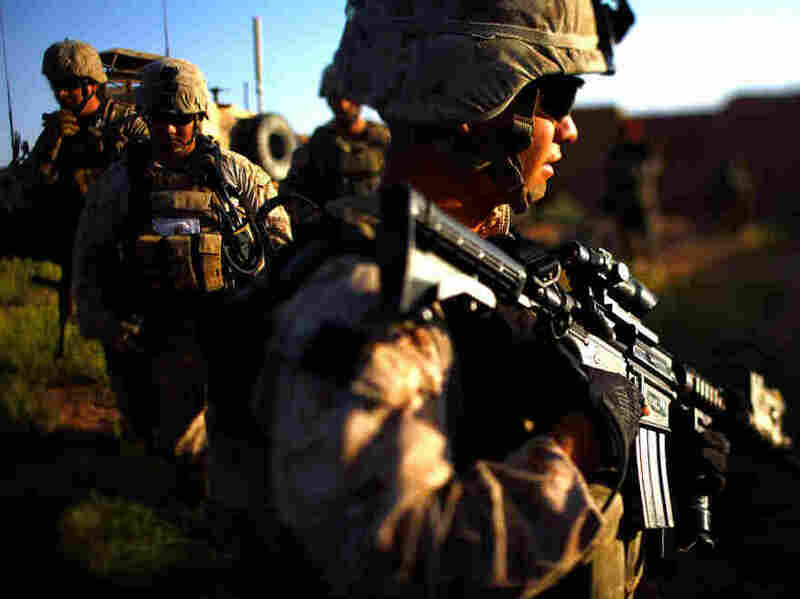 He's expected to say that the 30,000 "surge" troops will be out of Afghanistan by late 2012. That would still leave more than 60,000 U.S. military personnel in the country. U.S. Marines on patrol earlier this month in Afghanistan's Helmand Province. The president's address to the nation is scheduled to begin at 8 p.m. ET. We will be live-blogging and NPR.org will be streaming the audio.